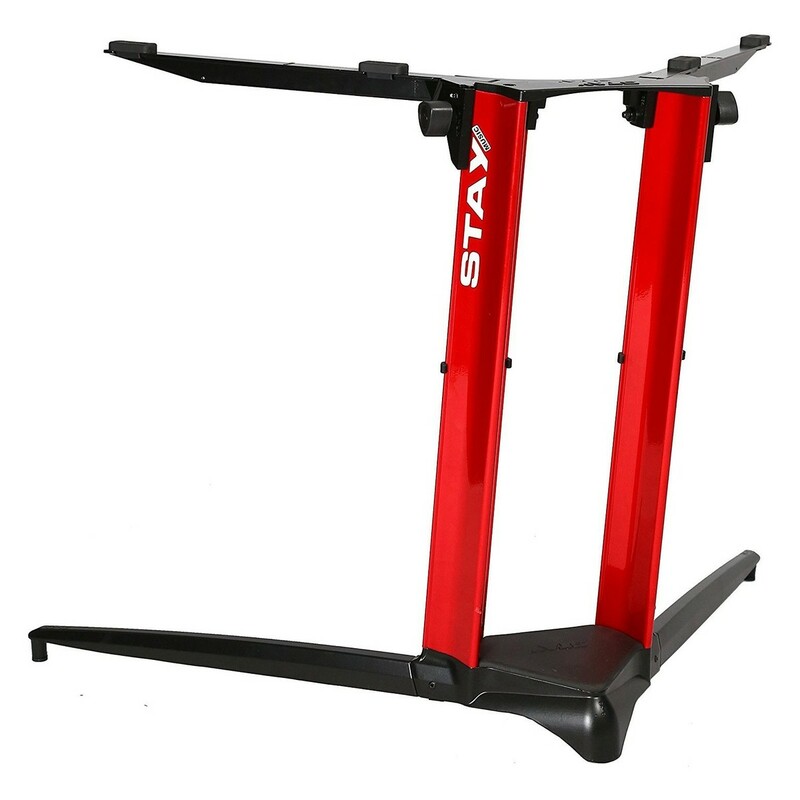 The STAY Keyboard Stand PIANO, 1-Tier, 2 Arms, Red is a sturdy 1-tier stand designed to accommodate 88 key keyboards and synthesizers. The highly robust design features a sleek red finish with 2 height adjustable arms and a tripod base for maximum stability. Constructed with heavy-duty aluminium, the STAY Keyboard Stand PIANO can hold keyboards/synths weighing up to 130kg, while the tripod base ensures the stand stays in place even during demanding performances. 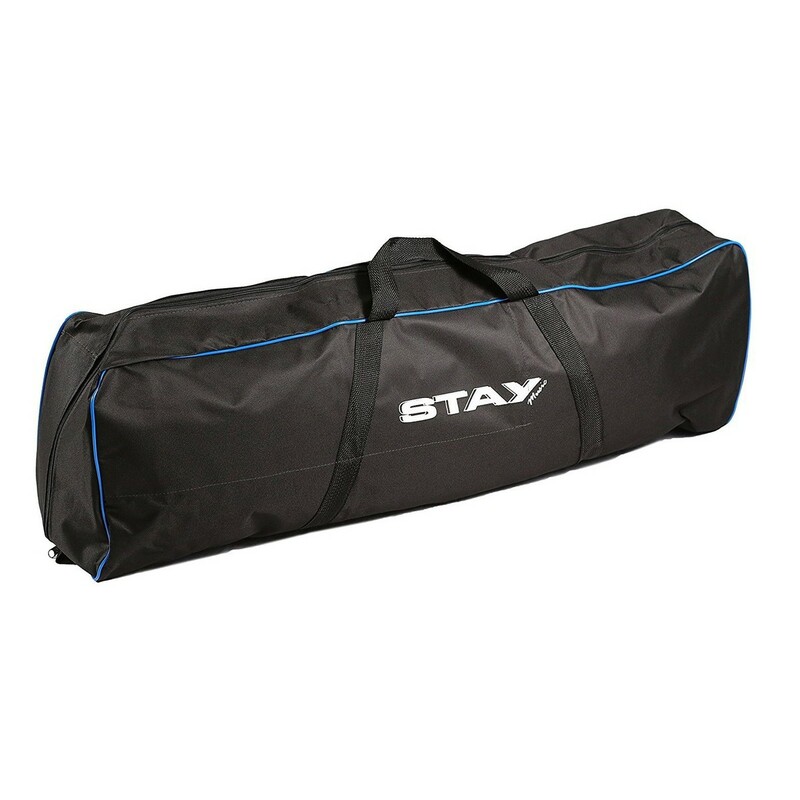 The included transport bag provide easy transportation and storage, while the wire clips allow you to keep your workspace neat and organised, both in the studio or on stage. The robust design ensures maximum durability and stability, making it an ideal stand for your larger keyboards. It is the perfect solution for live keyboard playing and studio storage. 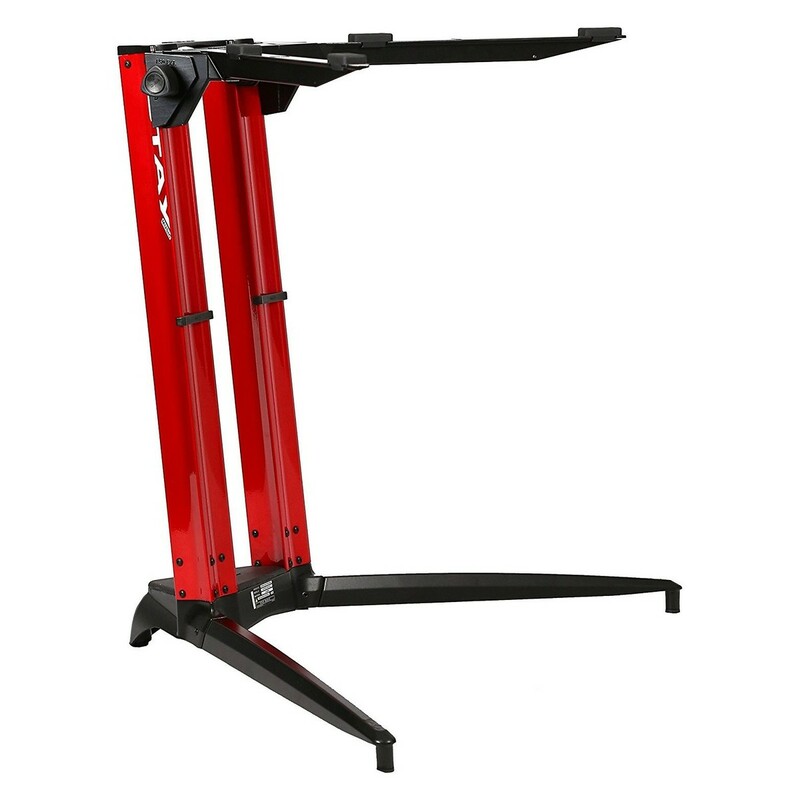 The stand features 2 arms which are height adjustable to ensure maximum stability and comfort, depending on the size of your keyboard or synth. The tripod base provides stability, ensuring your keyboards stay in place at all times. The STAY stand also features wire clips that allow you to keep your wires organised and neat. Your wires can be placed down the legs to keep your setup free from clutter.